Bundoran is taking the Stag Party world by storm. Located in the north west and with a host of fantastic activities on its doorstep and wild nightlife. It’s easy to see why Bundoran is a hit with stag party groups. 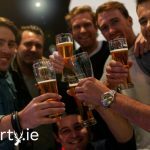 On a Bundoran Stag Party you’ll be staying right in the heart of the action. You won’t be any more than a short few minutes walk from a pub. It’s also handy when you get out of the club later that night. Surfing – Clear the head and catch some waves with this adrenaline pumping activity. Footgolf – If you’re Football mad, you can put your skills to the test with a round of Footgolf. Kayaking – Kayak along the Irish coastline taking in the beautiful scenery. You’ll also take part in a few challenges when you’re on the kayak. You’ll end up in the water at some point. Archery – Unleash your inner Robin Hood with Archery on the Stag. A brilliant activity that is sure to get the competitive juices flowing. Especially to see who hits a bullseye first. Prison Break – You’ll have a set time to escape a room through a variety of clues, games and tasks. Will you make it out in time to make the pub? Coasteering – If you’re after an adrenaline rush, Coasteering is for you. Spend an afternoon jumping and diving off rocks into the Atlantic. High Ropes Course – An obstacle course that is hanging high up in the air lads. It can be tricky and is sure to test anyone’s fear of heights. MMA Experience – Think you have what it takes to be the next McGregor? Test you skills with an MMA experience. 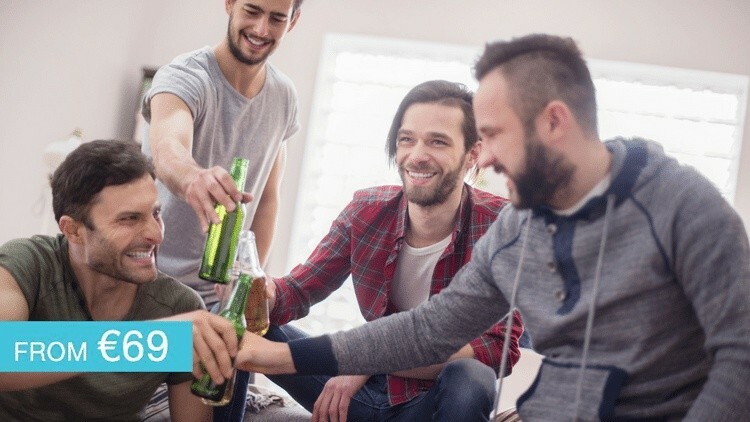 Boozy Bowling – Beer, Bowling and friends can only mean good times. Will you hit a strike though? Extreme Nightline – Under the cover of darkness you’ll take on a wet and muddy course that encourages team work and communication. It’s sure to come in handy later that night bringing the Stag home. Finally, if you need any more information contact us today on info@stagparty.ie or through the tabs below.